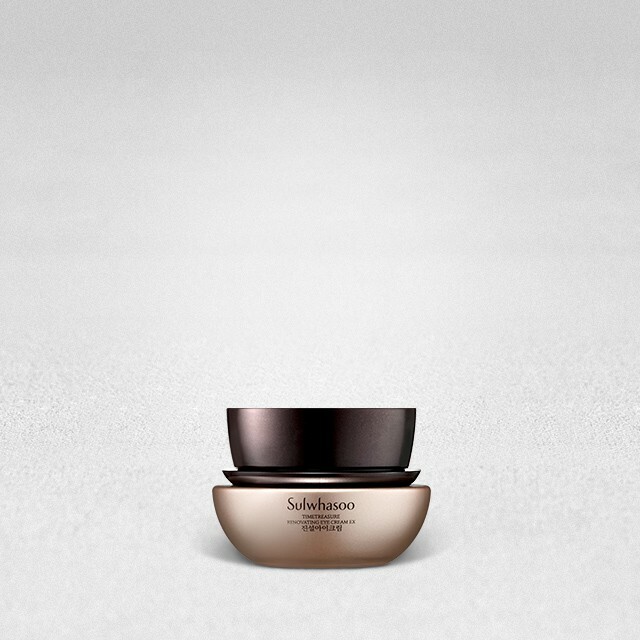 A premium anti-aging eye cream that refines the delicate eye area with the vitality of red pine. DAA is an anti-aging and skin-strengthening ingredient found in red pine. It promotes elasticity while Korean Red Ginseng and White Ginseng Saponin brighten your skin tone and fight wrinkles. A delicate web of fine particles suspended in the eye cream veils your skin instantly with moisture leaving it smoother and plumper. After applying Timetreasure Renovating Serum EX in the morning and evening, release an appropriate amount on the back of your hand and use fingertips to apply the product under, next to, and above your eyes. Use third and fourth fingers of both hands to gently massage the eye area.